John Carico hopes to bring the Antifa movement to the mainstream with his independent campaign for U.S. Senate. 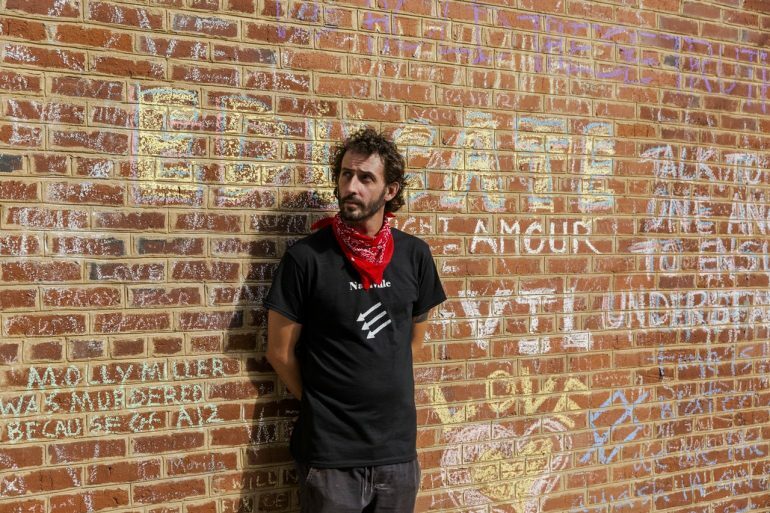 John Michael Carico, 32, is not a typical anarchist. Most anarchists would never launch a serious bid for public office because they oppose the existence of the state but, despite loathing the electoral process, Carico is running for U.S. Senate in Tennessee as an Independent. This is not an act of radical performance art, like when the activist Vermin Supreme runs for various offices wearing a boot on his head and promising everyone ponies if elected. Carico’s bid is real. Carico, who is nonbinary and goes by Jae Em, wants to mainstream anarchism and push Democrats further left. White supremacists from David Duke to Tom Metzger have used political campaigns in this manner for decades, and now, according to the Anti-Defamation League, there are 10 far-right extremists running for national office, eight as Republicans. A couple have even won primaries. Self-identified members of Antifa have not yet copied this strategy — but Carico hopes to change that.